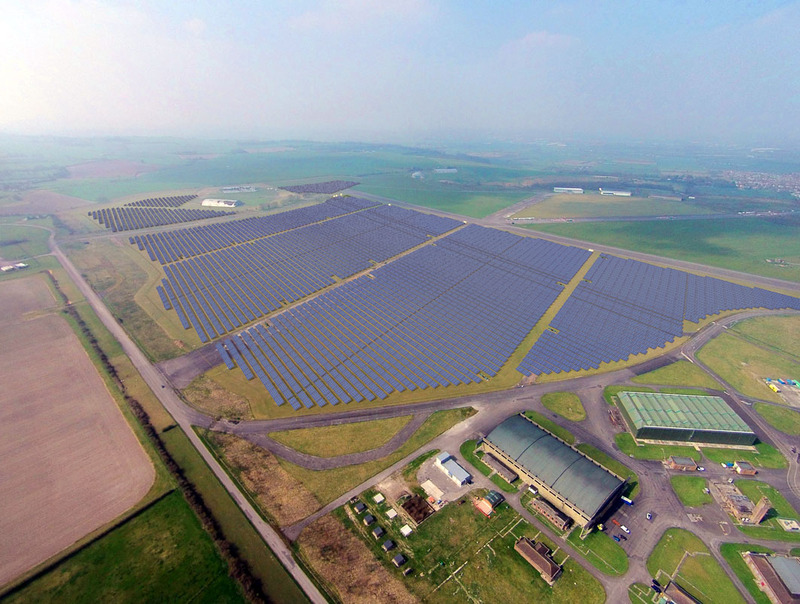 A digital render of the Swindon Solar Farm at the disused Wroughton airfield, which recently attracted investment from three local authorities. Image: Science Museum Group. In my blog in August, I commented on the different options available for local authorities and other public bodies to acquire solar assets. Most of my own work involves consultancy on the usual option, i.e. design, build and operate solar farms on land within the ownership of the council. However, I am intrigued by the different avenues being chosen by local authorities to get a stake in this game. In the last blog I mentioned Forrest Heath District Council and its decision to purchase the 12 MW solar farm at Lakenheath, which had already been developed by Greenheath Energy. Where an authority that wants to develop an asset itself has to undertake considerable work that would normally be outside of its comfort zone (such as grid connections and Power Purchase Agreements), this route simply delivers an asset ready-made. The council paid around £13m for the asset. Local authorities have more than one way of financing such a deal, but interest rates for borrowing from the Public Works Loans Board (PWLB) remain at a historically low level (around 2.5%). There is a good reason for this of course, which is that the PWLB is a facility provided by central government to fund necessary public infrastructure. Local authorities have now realised that cheap capital can effectively be used to generate the income that they so desperately need to keep public services running. Another way to raise the money is via the Municipal Bonds Agency, which has been set up by the Local Government Association to find even less expensive borrowing for local authorities. The agency believes that it can beat the PWLB rates, although bonds offer different conditions and risks. But it is bonds that have hit the news recently with the effective acquisition by three local authorities (Warrington MBC, Thurrock Council and Newham London Borough Council) of the huge 60 MW solar farm developed in Swindon at Wroughton airfield. The site was developed by British Solar Renewables in conjunction with Public Power Solutions and then acquired by Rockfire Capital. It has offered the site via a cleantech bond and the three local authorities have invested in that way. Again, they have been relieved of the pressure to develop assets directly and simply acquired a de-risked project. As reported, all of the authorities concerned commented that they had chosen the investment because it offered income generation under a more creative, commercial approach. One said that it had also taken external advice and the investment was asset-backed, ethical and supported by due dilligence and so would offer greater stability in its portfolio. Whilst this demonstrates that there are different ways that local authorities can invest in solar assets, it is also promising for those from the private sector who develop them. The public sector pension funds hold billions of pounds that need to be invested on behalf of their stakeholders and in the past these funds have taken more traditional routes. A while back it was recognised that the green agenda could offer good investments, but there were few projects sizeable enough to interest the players. This is clearly changing and is also driven by a desire on the part of many funds to move away from fossil fuel investments into the cleantech area. So the public sector continues to surprise by developing yet more ways to enter into this market and share in the success of solar PV. At the Clean Energy Live exhibition at the NEC next week, I will be looking at the ways in which local councils can develop their own solar farms, without government subsidies, by choosing sites carefully and being creative in the options to sell the power generated. The Local Authority Summit is on Thursday 6 October at 11am. Registration for Solar Energy UK | Clean Energy Live 2016 is completely free of charge and takes no more than five minutes of your time. The online registration process can be found here. Stephen Cirell is an independent consultant on the green agenda specialising in local government and the public sector. He is author of A Guide to Solar PV Projects for Local Government and the Public Sector, the second edition of which was published in 2015.